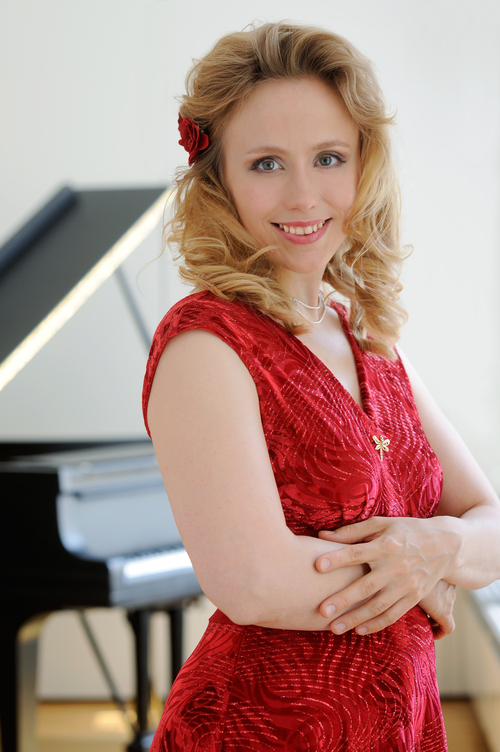 The Finnish pianist Terhi Dostal’s (née Jääskeläinen) career was launched with a performance as a soloist with the Kirov Orchestra of St. Petersburg under Valery Gergiev. She has since performed with various international orchestras, including the Finnish Radio Symphony Orchestra, the BBC Scottish Symphony Orchestra, the Helsingborg Symphony Orchestra, Sinfonia Lahti and many others. She has played in several European countries and in the USA. Terhi Dostal is also a winner of several international prizes and scholarships. In addition to her career as a pianist, she was also the culture attaché to the Finnish Institute in Berlin from 2007 to 2008. Terhi Dostal has in recent years devoted herself to the interpretation of the music of Johannes Brahms. She performed the complete works of Brahms’ piano compositions in her concert series in Finland, Germany and Austria. Dostal has also held lecture concerts and given multi-media presentations about the music of Brahms. Terhi Dostal received her Doctor's degree in November 2010 at the Sibelius-Academy. In her doctoral thesis she discussed the literary predilection of the young Brahms. Her solo CD "Brahms Variations", published in 2010, got excellent reviews. In the Austrian Brahms Museum in Mürzzuschlag Terhi Dostal performed complete piano works of Johannes Brahms with the Streicher grand piano which was used by Johannes Brahms in several concerts. Her newest Brahms CD contains seldom heard violin-piano works of Johannes Brahms played on this instrument. She plays in this CD with the violinist Annemarie Åström. Terhi Dostal is also known as a fine interpreter of Finnish music. She has performed contemporary Finnish music at important venues and worked with composers such as Lauri Kilpiö and Kaija Saariaho. In recent years, Terhi Dostal has brought back to the concert stage several forgotten romantic masterpieces of her native country. Some of these pearls of Finnish music earlier existed only as manuscripts. She has recorded Finnish music with several broadcasting companies including YLE1, Bayerischer Rundfunk, Deutschlandradio Kultur and Kulturradio RBB. Terhi Dostal has also promoted Finnish music as an artistic director of several concert series. Her most important achievement in this field up to now is the NordNote concert series in the prestigious Konzerthaus in Berlinin 2009-2010. This concert series included ten orchestral and chamber music concerts featuring Finnish music and musicians. Terhi Dostal performed in this series with the cellist Sennu Laine. Terhi Dostal lives in Berlin with her husband and two children.